Never heard that word??? ?...probably because I made it up. The spelling too! I have had some stress in the last three weeks. Some that has made me rethink many things in my life. One day we were sitting at dinner and my husband and kids were trying to help me with some of the stress and I just said "I'm just PERFUNKELED!!". Of course, now they were really looking at me like I had lost my mind :) and started cracking up. 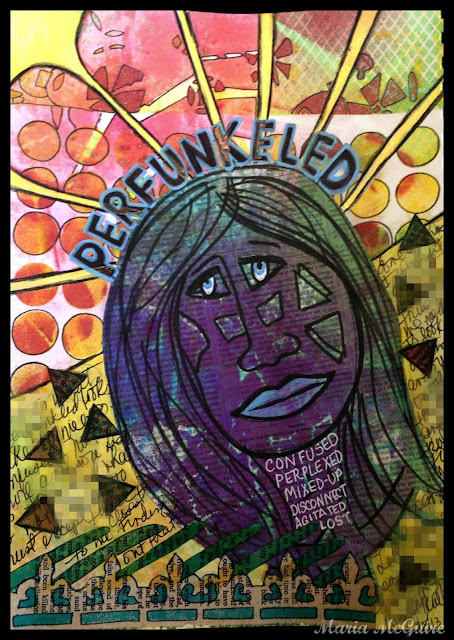 I decided to try to express what perfunkeled looked like in my latest assignment in 30 Pages in 90 Days with Gulfsprite. I am borrowing that word! That sounds just like it should considering what it means! I wish I could touch this and hold this- love all your layers and patterns! Love it! 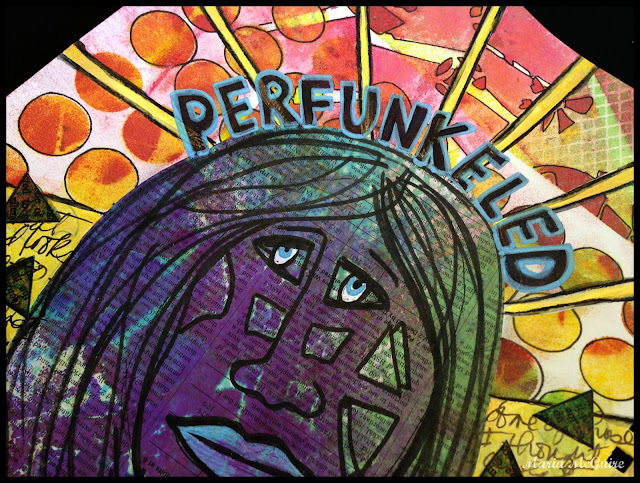 Not the state of being perfunkled, no.... but what you've done with it... yes! Gorgeous page. The stencil use is super and I love that face. Great journal page!! I make up words too and they mean exactly what I say.